As we say hello to a new year, it is natural for all of us to pause and reflect on the year that has passed and our goals for the year ahead. The holiday season may have been difficult for those patients who were disappointed in 2018. 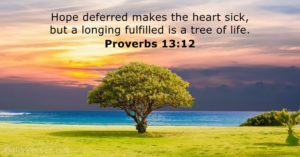 Hope deferred makes the heart sick, but longing fulfilled is a tree of life (Proverbs 13:12). If you are one of the patients experiencing delayed hope, the new year offers an opportunity to renew hope. Perhaps it is time to reappraise your fertility journey? Perhaps it is time to consider other paths to parenthood? One such path is Embryo Adoption. There are perhaps 1,000,000 cryopreserved (frozen) embryos stored in clinics across the United States. These “extra” embryos were created but ultimately unused because their biological parents met their family planning goals in previous cycles. Although adoption is a term normally applied to children post-birth and embryos are transferred legally as property, I think of these unborn lives as having the potential to fulfill other couples’ dreams for a family. Not all couples are comfortable with this path to parenthood, just as all couples are not comfortable with the idea of traditional adoption. However, embryo adoption offers a number of advantages because the embryos are already created and ready for use. For those couples needing third party genetic material (donor sperm or eggs), embryo adoption offers considerable savings in both time and money. Generally speaking, undergoing the transfer of a donated embryo, runs about 30% of the cost of a egg donation cycle. Additionally, these embryos came from couples and cycles that resulted in healthy pregnancies and deliveries which bodes well for continued success. 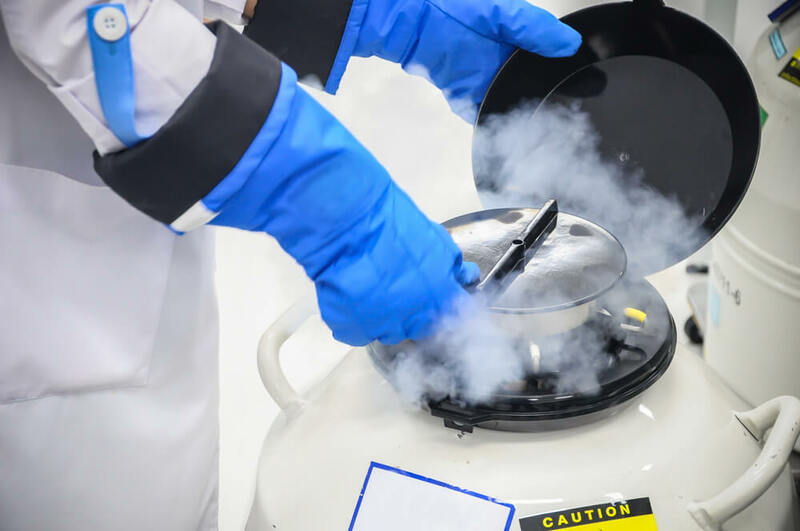 All in all, a successful outcome in these embryo adoption cycles is truly a blessed event for the adopting couple, the relinquishing couple who allow their frozen embryo to be adopted and, of course, for the cryopreserved embryo that is released from its frozen limbo. Deferred hope is transformed into a tree of life. Although several organizations match embryos and recipients, we have worked most frequently with the Snowflakes Embryo Adoption Program which part of Nightlight Christian Adoptions. Patients working with Snowflakes can choose a range of adoption choices although the organization strongly supports open or semi-open arrangements. Another organization that provides matching is the National Embryo Donation Center. A great source of additional information is the Embryo Adoption Awareness Center. Many of our patients with cryopreserved embryos struggle with the disposition of their “extra” embryos. They may have decided that their family is complete but they are conflicted as to what to do with the remaining embryos. To these patients I ask them to consider donating these embryos to another couple as becoming part of the embryo adoption process can provide hearts of peace for all parties involved.